We are obviously suckers for city games here at Digital Urban and since the sad decline in the SimCity series there has been a bit of a desert in urban gaming as of late. Until that is City Story came along, free for the iPhone, iPod Touch and iPad it looks like a thoroughly charming and involving game. 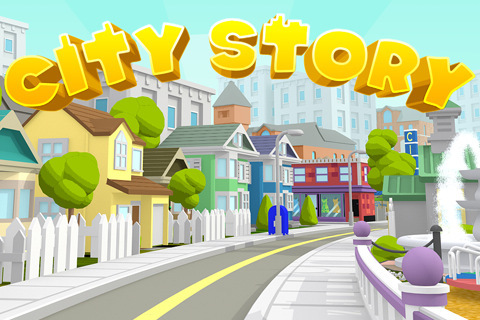 Direct from the marketing – City Story™ is a place where you and your friends can create the world based on your imagination. Build and decorate your own dream city with cafes, boutiques, bakeries, hotels, and landmarks. Watch your population skyrocket as you create the ultimate living, breathing city. – Choose from over 50 varieties of buildings, businesses, and parks. 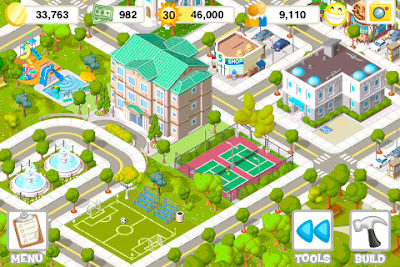 – Design and decorate your city with parks, roads, and rivers. – Get notifications when your contracts are ready. – Send exclusive buildings as gifts to your friends. We have only spent an hour or so with the iPad version but have to say that it looks like a must have city game, it is similar in nature to SimCity yet free and currently sitting at number 2 of the iTunes Chart. You can download the app via the app store. Please note that this post is now closed to ‘please add’ comments, we included as many as we could. How do you reset this? !